Combine 2 tablespoons lime juice, 1 tablespoon olive oil, chili powder, 1/2 teaspoon cumin, black pepper, hot sauce, paprika, and 2 garlic cloves in a medium bowl. Add shrimp; toss well. Marinate in refrigerator 30 minutes. Rinse and drain quinoa. Heat 1 teaspoon oil in a large saucepan over medium-high heat. Add onion to pan; sauté 3 minutes. 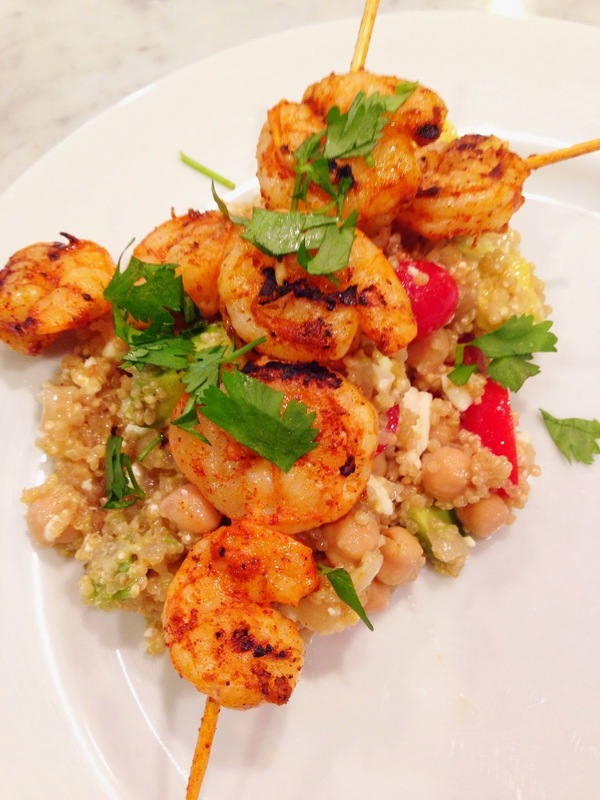 Add remaining 2 garlic cloves and quinoa; cook 2 minutes, stirring constantly. Add 1 cup water; bring to a boil. Cover, reduce heat, and simmer 13 minutes or until liquid is absorbed (mine takes about 17-20 minutes). Cool. Combine remaining 2 tablespoons lime juice, remaining 2 tablespoon olive oil, remaining 1/2 teaspoon cumin, 1/4 teaspoon salt, and honey in a large bowl; stir with a whisk. 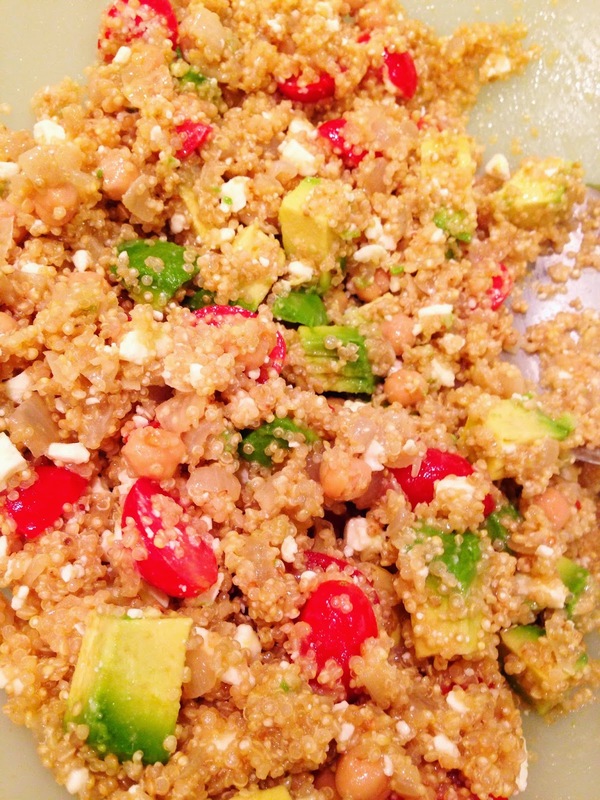 Add quinoa mixture, tomatoes, chickpeas, avocado, and cheese; toss gently. 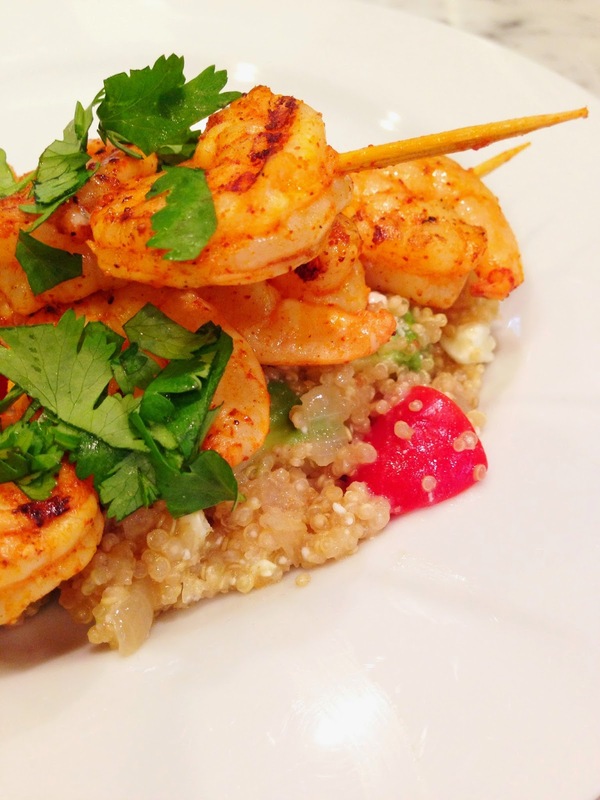 Remove shrimp from bowl; discard marinade. 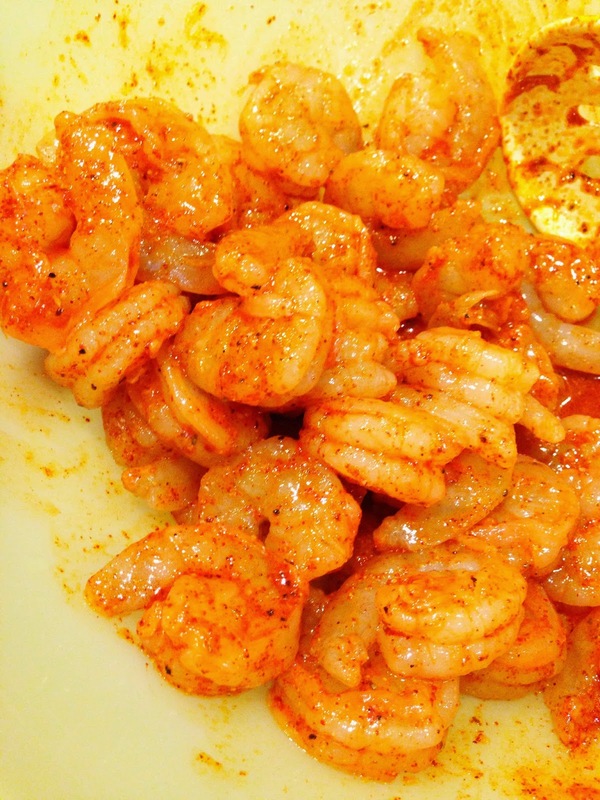 Sprinkle shrimp with remaining 1/4 teaspoon salt. 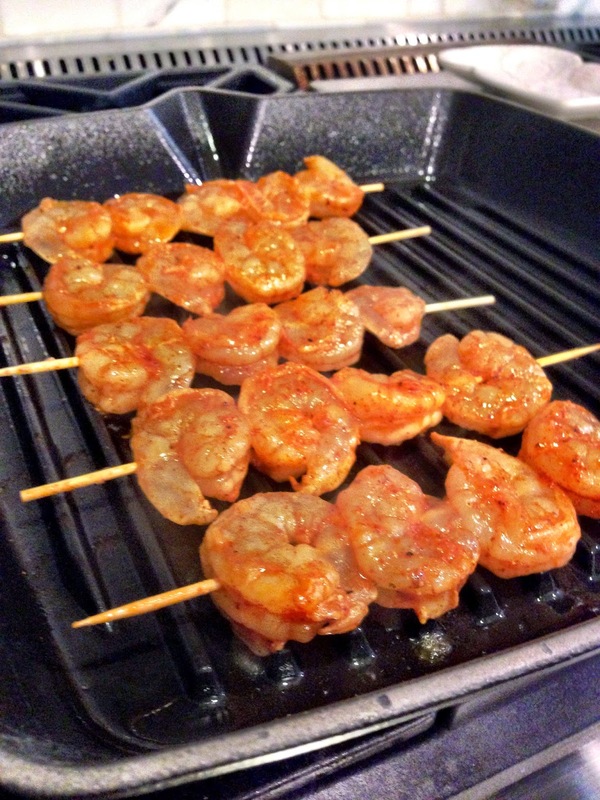 Thread 3 (or more) shrimp onto each of 8 (6-inch) skewers. Place skewers on grill rack coated with cooking spray. Grill 2 minutes on each side or until done. 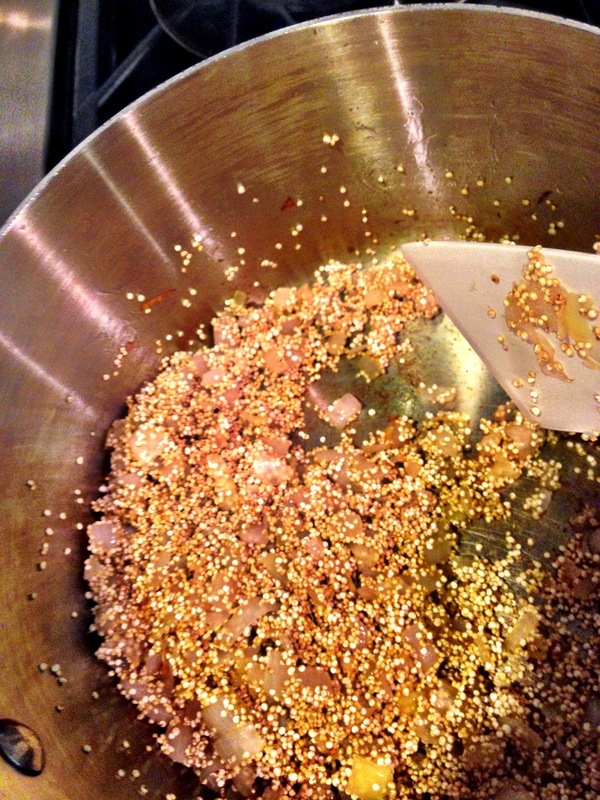 Divide quinoa mixture evenly among 4 plates. 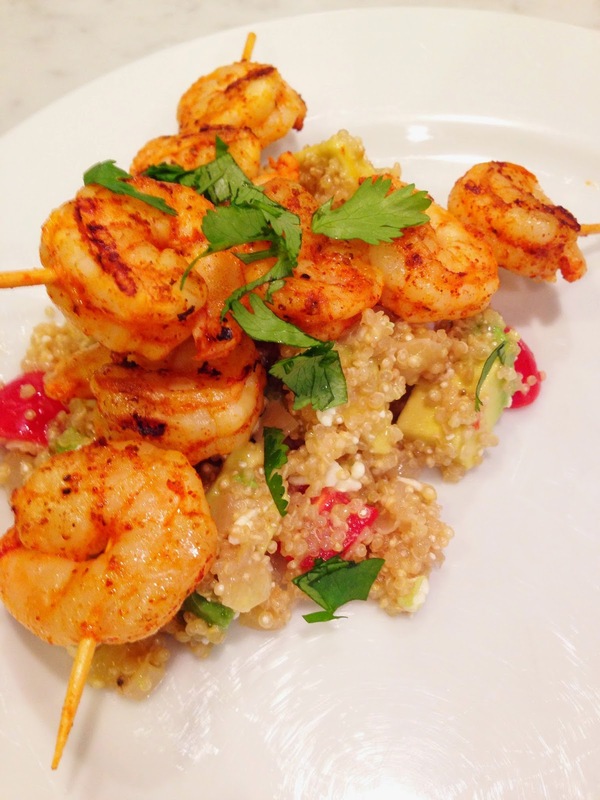 Top each serving with 2 skewers. Garnish with cilantro. 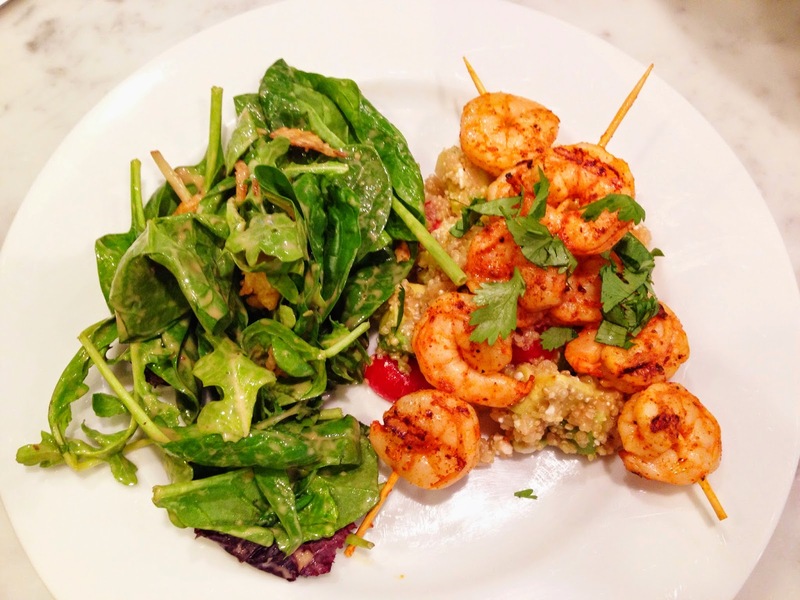 Both times, I served this dish with a big green salad on the side.